Anticipation in Africa: A Need or an Illusion? a new rational foundation for design, School of Industrial Design, University of Guanajuato, Mexico, April 15, 2005. A mathematical foundation for anticipation–what do we need? Reaction will not do. The Cause Lies in the Future. How do we explain the anticipatory characteristics of motoric activity? The goalkeeper’s flash of genius before the penalty kick. Anticipation and creativity – Why the sciences as we know them cannot explain creativity. Anticipation: why is beauty so important in nature? 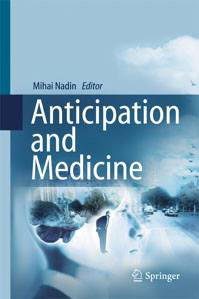 How does the brain support anticipatory processes?